South Korean prison to be guarded by robots | UNBELIEVABLE! 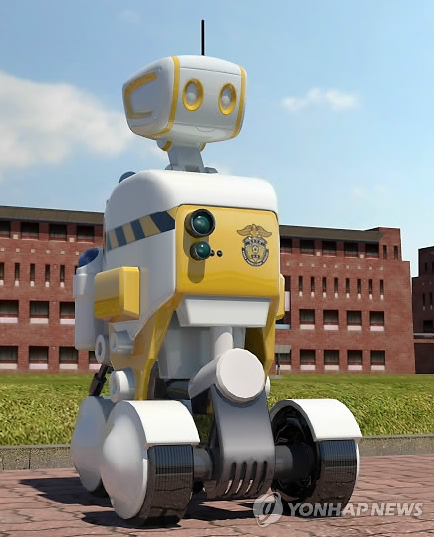 A prison in South Korea is going to use five-foot tall, four-wheeled, friendly-faced robots to keep an eye on the inmates. The robots will start work with a one-month trial, commencing in March. It will consist of three prototypes beginning their duties in a prison in the city of Pohang. The project will cost around 1bn Won (£554,000) in total. The robots will work mainly in night-time shifts. They are able to alert human guards if they find any problems: they contain technology that is sophisticated enough to detect violence and even notice suicide attempts. They are also able to help prisoners connect with officers, as the robots have cameras mounted on their torsos which allow “remote conversation”. Should the trial be a success, the future of prison security may well end up being controlled by robots. Posted on November 30, 2011, in Technology and tagged crime, Pohang, prison, Robots, South Korea, Technology. Bookmark the permalink. Leave a comment.